The Benz Micro Ebony TR MC cartridge has been reintroduced by the Swiss manufacturer in limited edition. This version of the Ebony L is completely and uniquely made to be used with a MC step-up transformer. The holy grail of the cartridge is represented by the lowest possible output voltage (under 0.2 mV) and an internal impedance close to 0 Ohm. 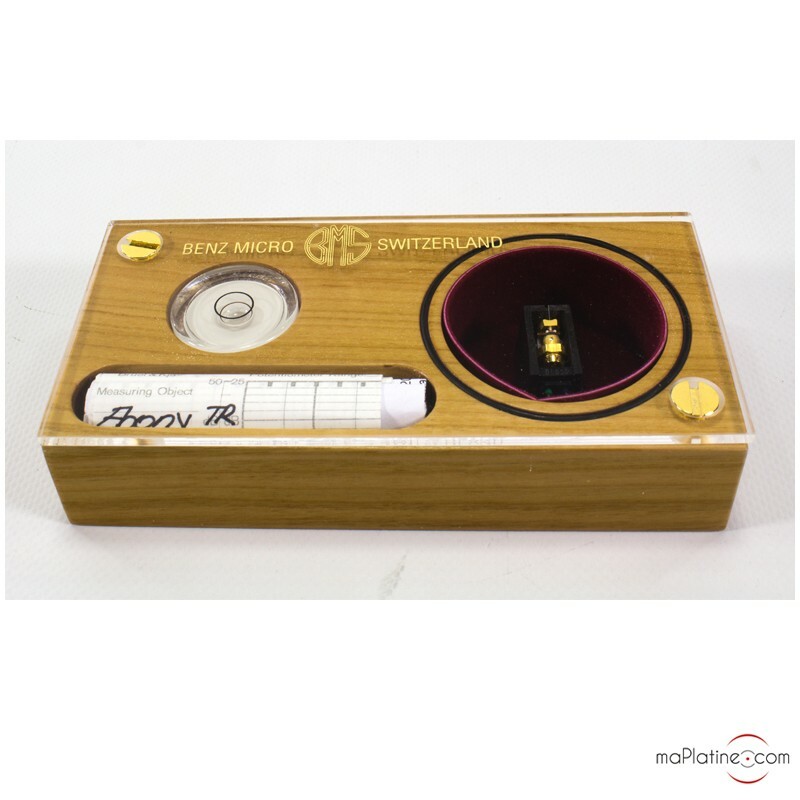 The output voltage of the Benz Micro Ebony TR is 0.1 mV and the internal impedance is 1 Ohm! This is one of the lowest voltage that exists. This is obtained by reducing to a maximum the coils and thus the weight of the coils! 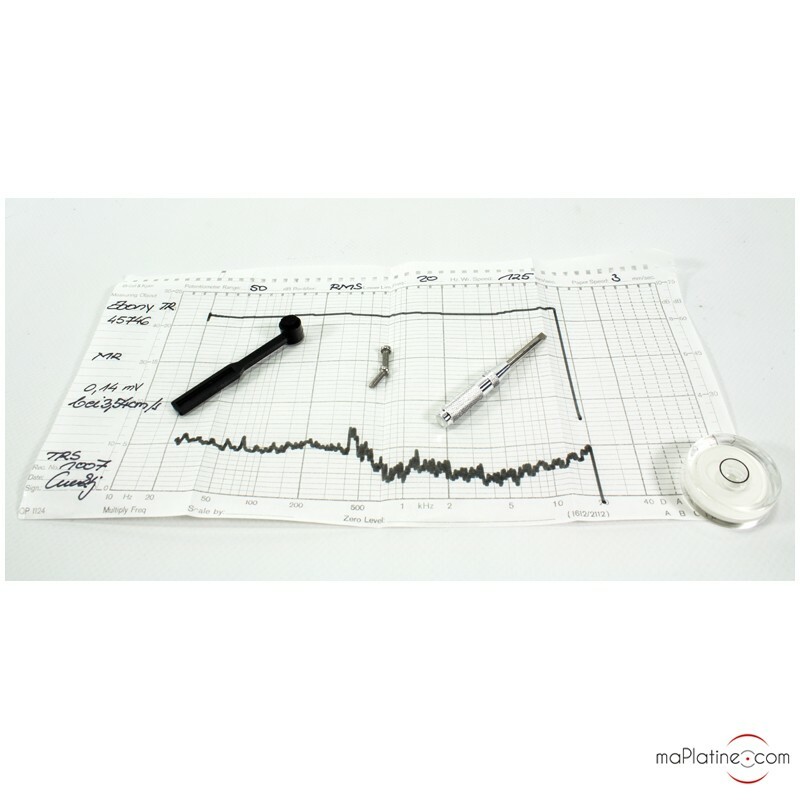 The moving coils of this cartridge are one of the lightest in the world! The Ebony TR cartridge uses what Benz Micro calls a “mono-layer” coil which uses a copper wire of 50 microns thick wrapped around their “steel cross”. However, these characteristics means that you must use a step-up transformer that has a load between 5 and 50 Ohms and gain of at least 22 dB. 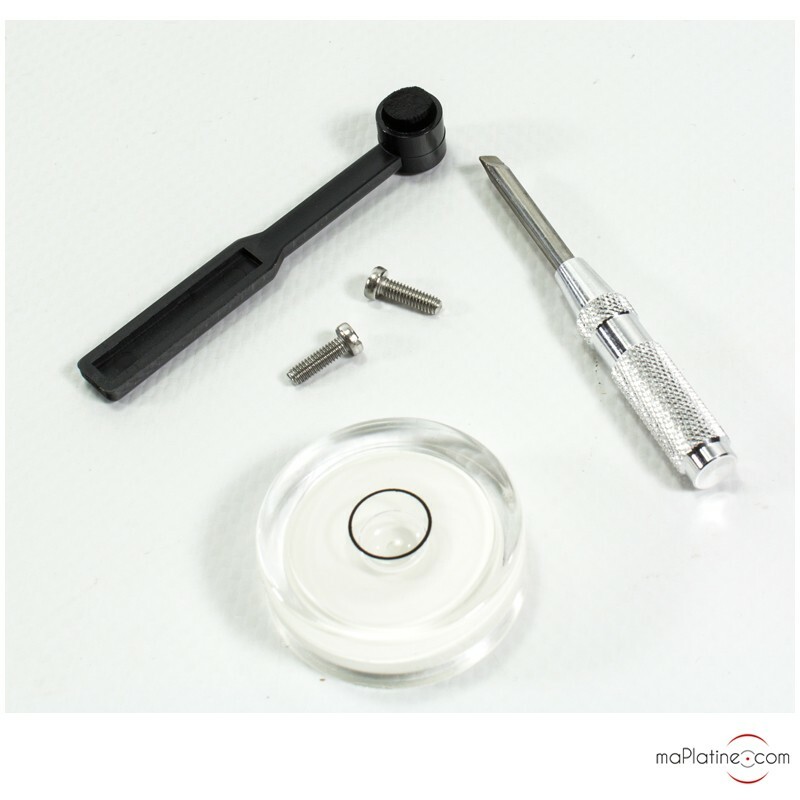 The boron cantilever of the Ebony TR is equipped with a Micro Ridge stylus. 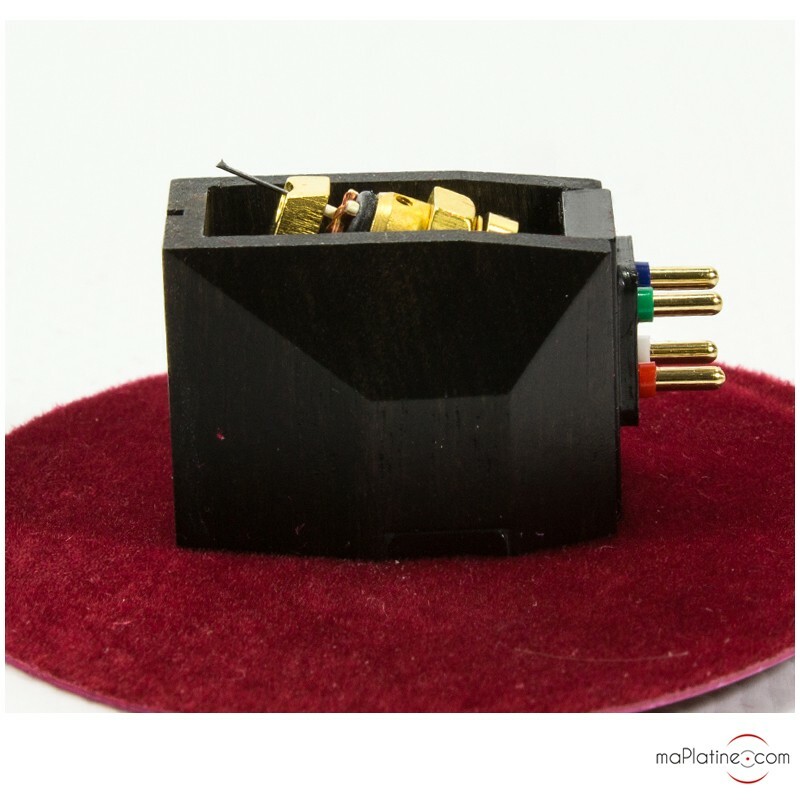 The average/low compliance of this Ebony TR cartridge and its mas of 9.6g make it compatible with tonearms that have an effective mass between 8 and 18 g.
It is quite easy and simple to mount and align this Benz Micro Ebony cartridge. 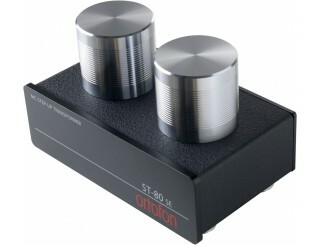 We listened to this Ebony TR cartridge with the Ortofon ST80SE step-up transformer and the Sutherland 20/20 phono preamp. 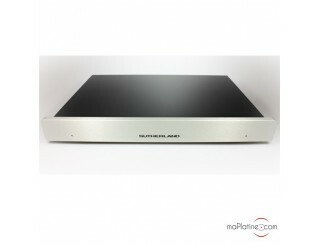 The ST80 SE has a gain of 27 dB and a maximal load of 50 Ohms and so we did not change anything. Moreover, we set up the Sutherland on 40 dB (46 dB is possible as well) and 47 kohms. Like always with Benz Micro, the sound restitution is of pure class! But this cartridge combined with a step-up transformer provides an extra nuance and refinement rarely achieved with a phono cartridge of this range. 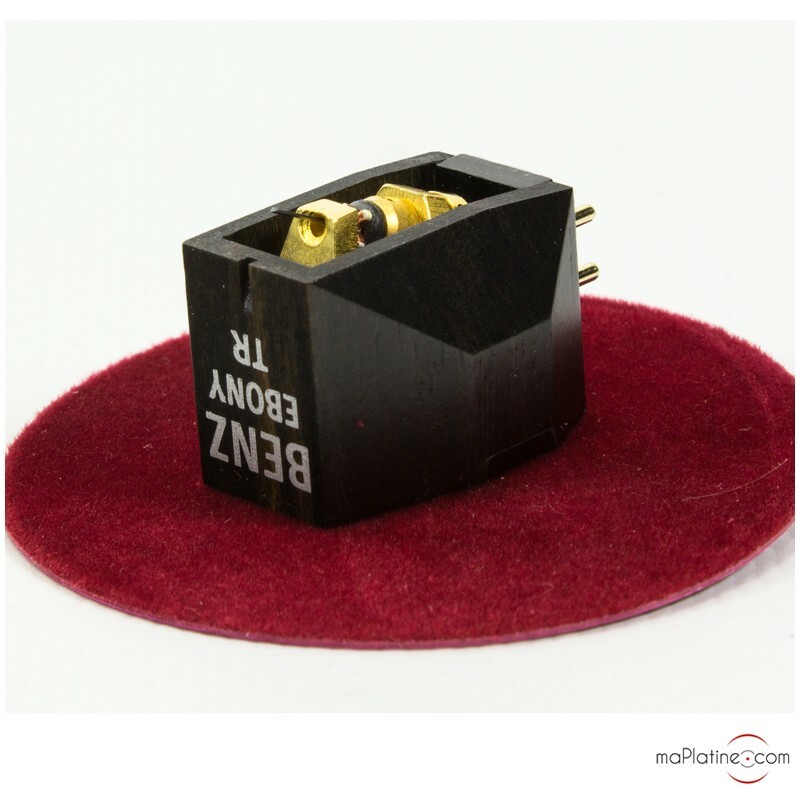 The Benz Micro Ebony TR cartridge is very fast and has a remarkable impact without projecting the music into the listener’s face. From the opening bars, we notice that it is much more transparent and detailed than than the Ebony L cartridge. The level of details this cartridge offers could make believe that this cartridge is 2 to 3 times more expensive! (Yes its possible!). The high end of the spectrum is superb, precise and smooth at the same time. The strings, brass, pianos… have a fabulous realism. And the midrange? Superb! It is free from all veil and colour. The voices are close to perfection! And always with this extra soul that few Hi-Fi products are capable of providing! If you are an enthusiast of acoustic instruments or voices, look no further, you have found the cartridge of your dreams! The bass is deep and very articulate. It can even go down very low with an incredible impact. The bass lines are perfectly clear and never monotonous. 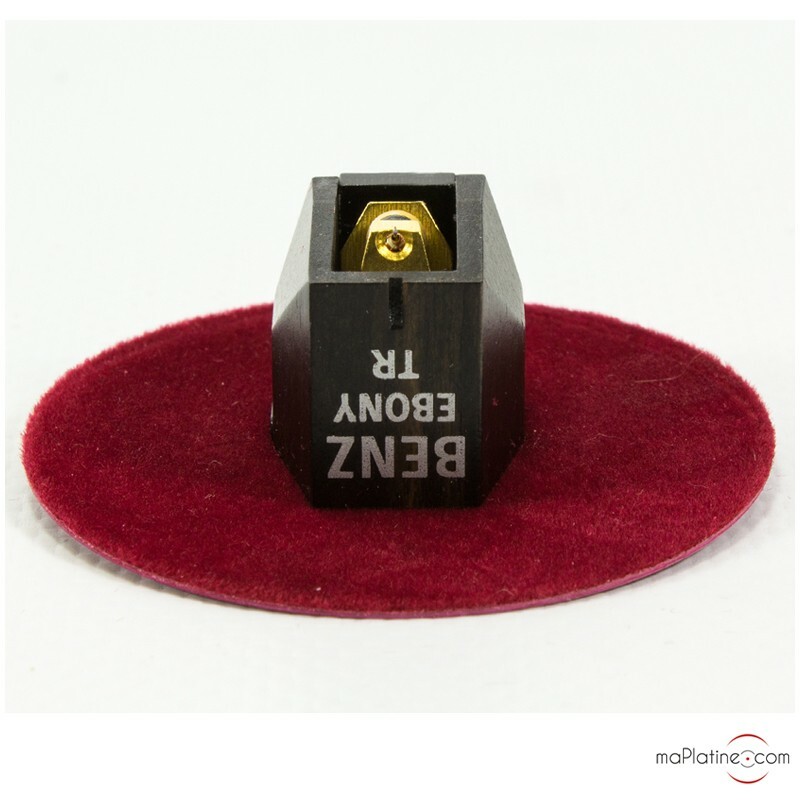 On this register as well the Benz Micro Ebony TR cartridge can be considered a benchmark. The soundstage of this Benz Ebony TR is outstanding. It is large, deep, and wide. It fully adapts itself to the musical piece. It gives extra space between the artists which enables to locate them with a formidable precision. However, without ever falling into extravagance. The music is totally outside the physical limits of speakers. In conclusion, there are of course all the qualities of the Benz Micro Ebony L cartridge which had already impressed us a lot. However, the Ebony TR changed our world. This Hi-Fi cartridge is considered to be a benchmark on several features and, in particular, in terms of realism and musicality. For many manufacturers of phono cartridges, every high end MC cartridge should me used with a MC step-up transformer. The Ebony TR cartridge has been fully optimized to meet this uncompromising demand. And the result is magnificent!